One of our favorite holidays around here on Craft Corners is Halloween. That’s simply because there are so many fantastic decorating ideas! And one of the old classics for Halloween time is decorating your yard with the seasons most popular flora, the pumpkin. 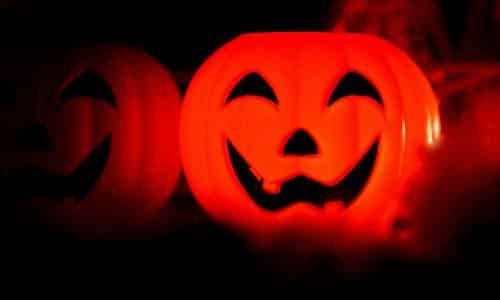 We’ll be giving you a few quick tips on how you can easily make sure that your yard is not only festive, but ready for any trick-or-treaters. First, you have to get yourself some pumpkins of course! Every year I always go out to pumpkin patches to get my own pumpkin to not only have on my front porch but to carve as well. It’s fun to make a day out of it, bring your family, your significant other or simply a best friend and have a great time picking out the best pumpkins and laughing at the worst ones. After you have your pumpkin you can take the next step of carving or you can simply have the orange vegetable sitting at your door step. Make sure that you have a pumpkin carving kit with stencils and all the tools you need. After you have your finished pumpkin you should have the pumpkin sitting on top of a small dish that you don’t necessarily care about so in case if the pumpkin starts going bad you don’t want it sitting on your door step like that. We suggest something like a tray that you normally put under a potted plant that normally catches water. Place in your tea light and you have the best pumpkin around town. Another fun idea other than carving the pumpkin is simply engraving the outside of it. Take a permanent marker and using a similar stencil that you had and write in your initials or someone else’s initials and you have a classy looking festive addition to your decorations. What I love most about decorating your yard for Halloween is there’s never any question from trick-or-treaters whether or not you’re handing out candy. It’s always a good idea to have some type of Halloween decoration so they won’t pass by your house. Those are our ideas for making sure that you’re completely set for the year’s spookiest holidays. What’s your favorite part of Halloween? Let us know in the comments below!